The new MAVRO uses blockchain technology. Blockchain is a distributed database that does not have data storage devices connected to a shared server. All information is distributed among millions of computers, it is impossible to forge or remove even a part of this information. Each block contains a timestamp and a link to the previous block. Mavro is based on Ethereum technology. In turn, Ethereum is a platform created for the development of decentralized applications, which are based on the blockchain, using “smart contracts”. By its structure, the Ethereum is a unified and decentralized virtual machine. The MAVRO system no longer functions only by connecting new members. The new concept no longer has a single sign of the financial pyramid. Mavro is protected from outside interference, a collapse of traditional institutions and actions by the authorities. Mavro is an algorithm for the distribution of tokens and the functionality of the system is registered in smart contracts powered by Ethereum. The platform provides useful functionality for other MLM systems and allows users to create their own decentralized structure with open transactions and their own internal cryptocurrency. All the token purchases are registered in a smart contract on the Ethereum network, on which all the MAVRO functionality is based upon. The share of tokens for the operation of multi-level marketing is limited to ten percent! Expansion of the system will no longer be carried out at the expense of its participants. Therefore, take part in the development of MAVRO and earn on invitations to the system. Which will be available only to the first participants, because after the exhaustion of the affiliate balance of the tokens (10% of the total issue), the affiliate program will be closed! The shutdown of past projects occurred only because there was not enough technology to completely protect the system. Now these technologies have appeared, which the MAVRO platform is based upon. The system is completely reliable and secure due to the use of cryptography. The algorithm for allocating funds is registered in a smart contract. The usefulness of the platform for the entire global segment of the MLM business is based on the MAVRO platform. Any MLM company will be able to implement its own cryptocurrency and use the opportunity to instantly distribute partner rewards, thus making all distribution of partner program funds between all levels absolutely transparent, automated and instant. MAVRO is a perfect cryptocurrency ecosystem. 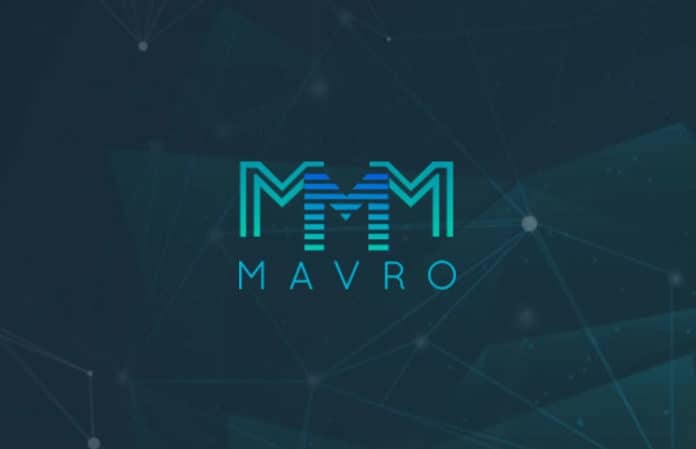 Already, the whole world is moving away from the traditional economy into a cryptocurrency one, and MAVRO will head the cryptocurrency economy.